An incredible moment on Sep 19, at the Ekal National team conference in San Diego when attendees sitting on the Bay in an open dinner event saw a 45 min live walk-through of the Karanjo Center via Skype, thanks to the magic of technology! The microwave tower and wifi hub powered by Solar allowed us to see Skill Training, Digital Literacy training using IIT Bombay's Spoken Tutorials and food farms. We "met" the villagers via skype. 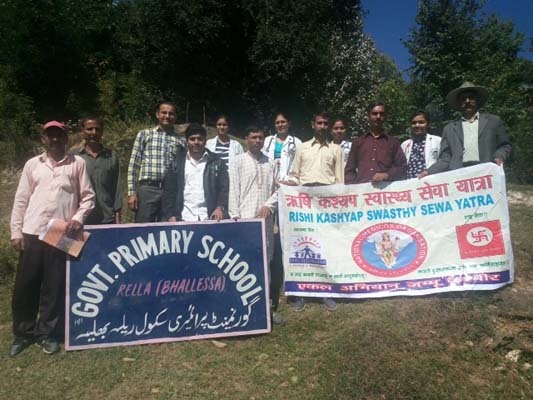 We saw the Ekal Vidyalaya in session. It was an amazing experience to see the Digital Connection in this remote area so active. It gave so many, the chance to virtually travel to this place that I have talked so much about! We were offered a turmeric flower, virtually! 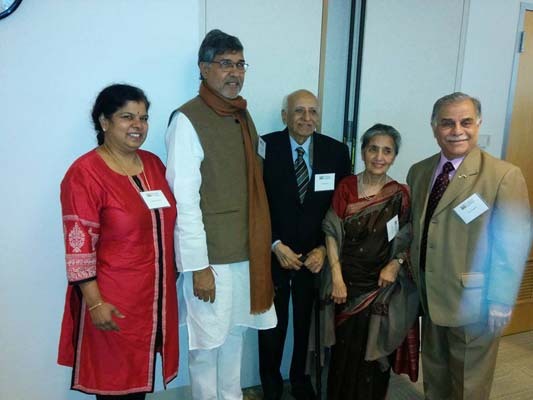 So many in the US and India have helped shape this effort… It was truly a journey of a thousand miles. 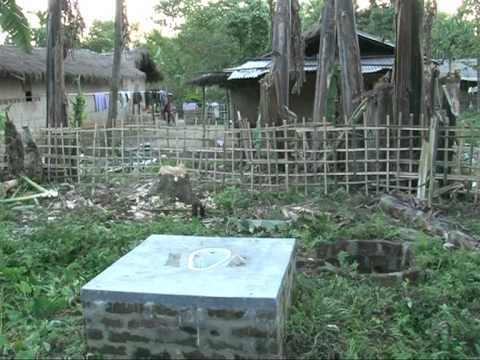 The villagers were delighted to see and thank the donor whose generosity made this happen! I look forward to a great future with Digital Ekal. 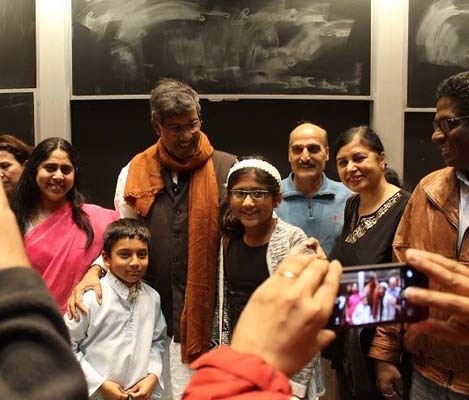 Inspirational session at MIT by Kailash Sathyarthi, 2014 Nobel Peace Prize winner, urging everyone to do their bit for community service. 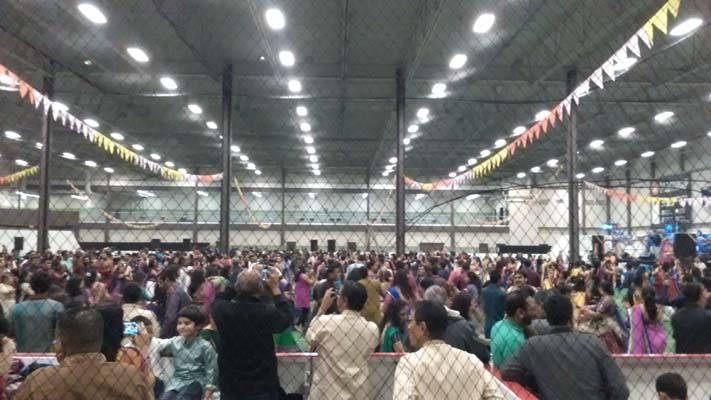 Navaratri Night was celebrated at Calgary in Canada. 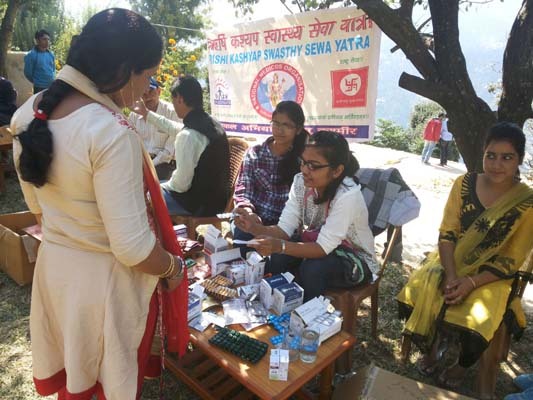 An idea struck Chirayu Sheth and his friends who set up Ekal booth at the event, to meet potential donors at one point. 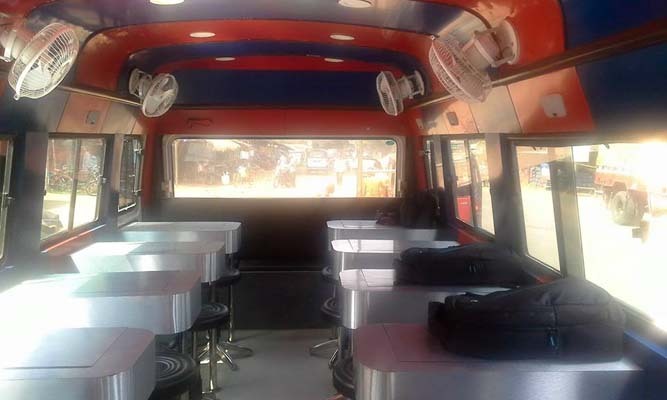 The idea attracted many visitors and created a big impact about Ekal. 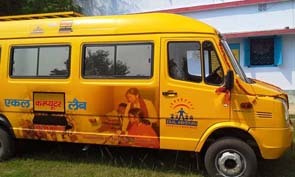 Ekal Abhiyan in association with Vikas Bharti launched computer on Wheels (a mobile van service) to spread computer literacy among children residing in interior areas of Jharkhand. 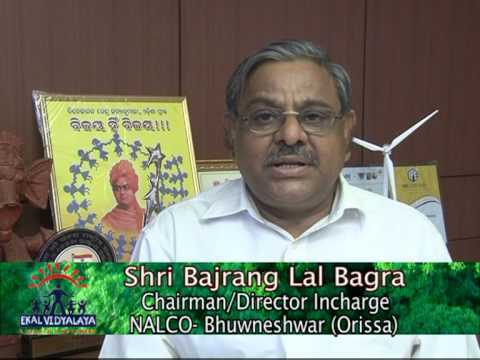 The people associated with the project have decided to further widen the project. It will collaborate with TATA Foundation for the project expansion. Ekal and innovative Ideas go together. 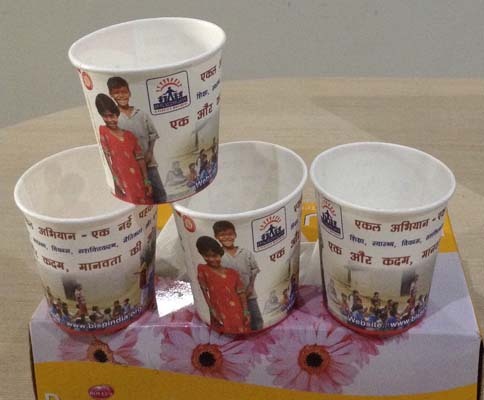 Shri Rajiv Mittal Vice President of Bharat Lok Shiksha Parishad Delhi, thought of promoting and spreading Ekal Mission through Ekal Cups. 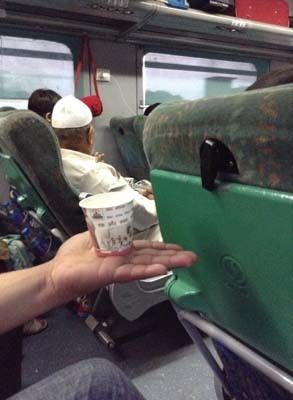 He donated 1 crore Cups which are being circulated in prime trains like Shatabdi and Rajdhani of India. 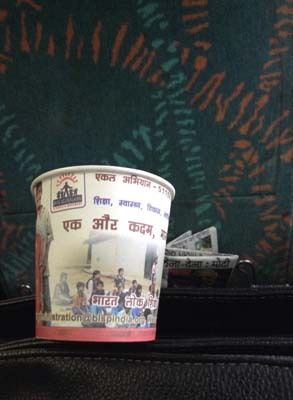 On 15th oct. 2015 while travelling in Lucknow Shatabdi I took notice of these cups and drew attention of co-passengers to read the message at this cup before discarding it. Many people asked about it and I enjoyed explaining Ekal to them. I took some quick snaps too, to post on FB. 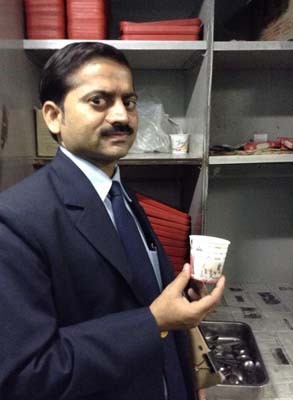 The TT and serving staff happily posed with the Ekal cups for me. Diwali is the festival of lights, and education is synonymous to light “gyan prakash shiksha deep”. 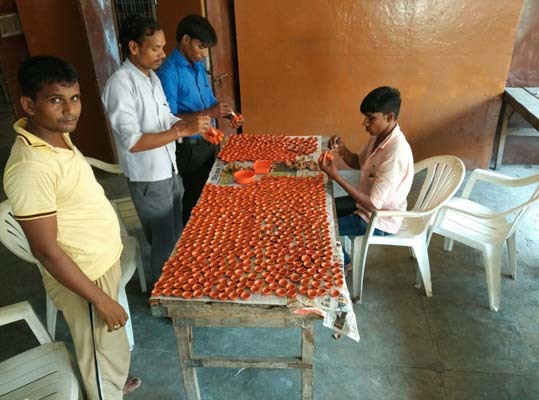 To commemorate diwali festival, enthusiastic members of Prayag chapter of BSLP initiated a project called ‘Ekal Deep’. 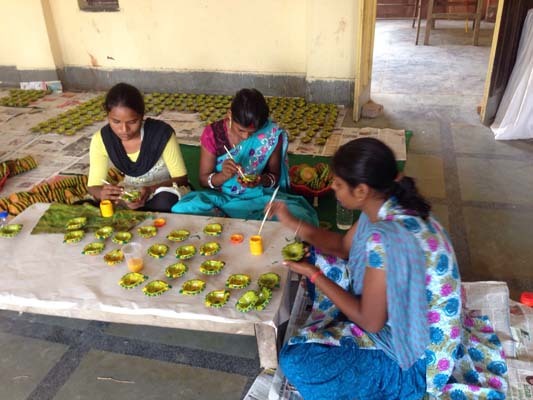 Raw terracotta divas were bought in large numbers from the manufacturer and it was painted by senior ekal children and young girls from gram samiti after they were trained in a 7 day workshop at Allahabad, organized by the Chapter. 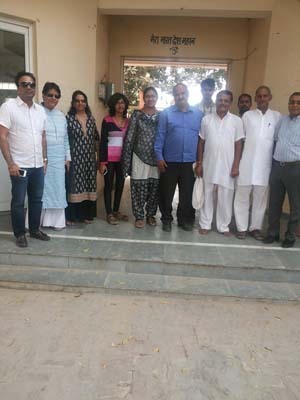 The members were happily calculating the profit which could be generated by selling ‘Ekal Deep’ which can fulfill the target of supporting 50-70 Ekal Vidyalayas in their adopted Anchal. 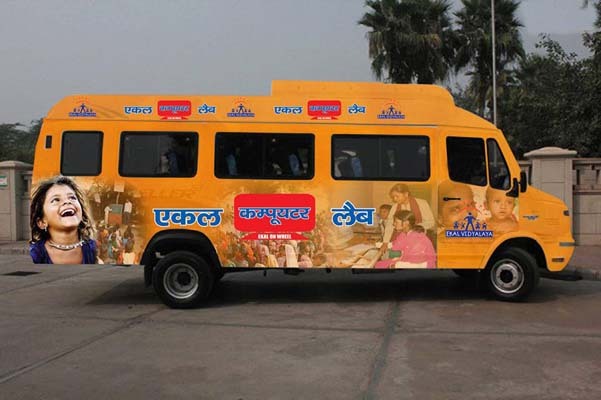 Other Chapters of Kanpur and Varanasi have also decided to emulate this beautiful project in their areas. For any information help or assistance regarding the same you may please contact Sh. 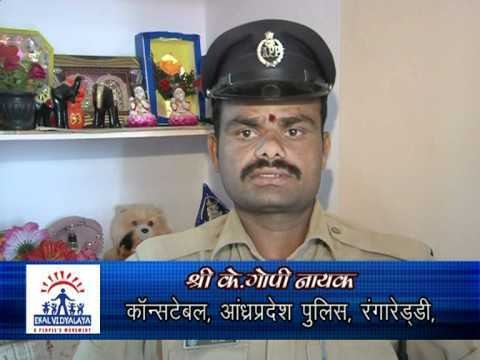 Vishal Mohan Ji on his contact number 09838630000 and/or Smt. Kirti Tandon – 09415338526. 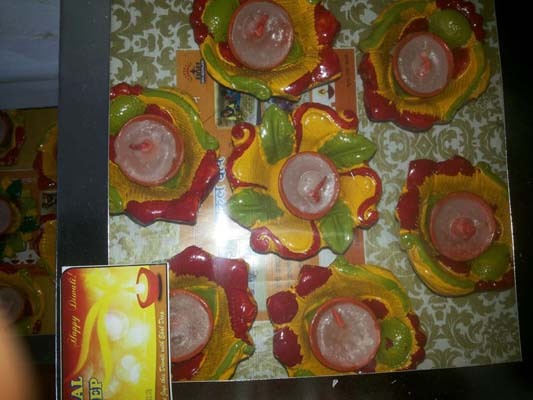 PS: Each Box of seven Diyas costs Rs. 250. The Ekal Talk featured prominently in the panel discussion on ‘Adiwasi Samaj Aur Shiksha’ on the national TV channel Doordarshan Kisan. This was telecasted on 22nd and 23rd in Vad Samvad program of kisan channel. Smt. 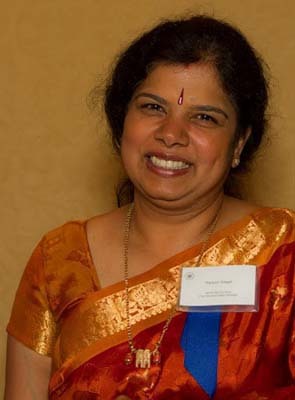 Manju Srivastava, President Ekal Sansthan was invited as Panelist to participate in this discussion. The other two panelists were Mr. Manoj Pingua IAS, Secretary, Ministry for Tribal welfare and Mr. B. K Tyagi, Scientist, working for compensatory Education in Govt. Dept. 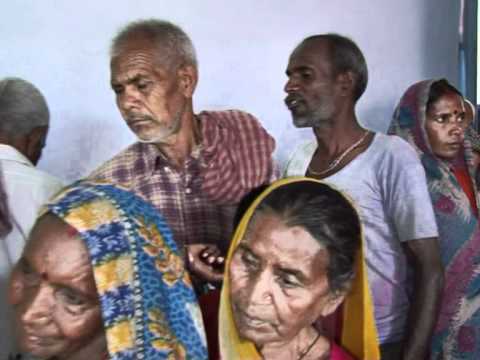 Mr.Manoj and Mr.B.K.Tyagi narrated many government welfare schemes for tribals, especially in naxal areas. Mr.Pingua, specially thanked Mrs. Srivatsva for giving useful suggestions and also said that NGO’S like Ekal can really help government in its many endeavors. 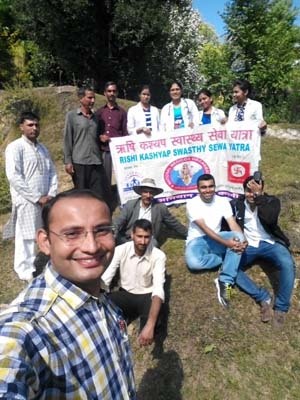 RKSSY combined with Seva sangathans like NMO, EKAL & SEVABHARATI successfully completed 2nd Rishi Kasyap Swasthya Sewa Yatra with 66 camps in which 13000 patients were benefited with medicine and general awareness about their physical health. 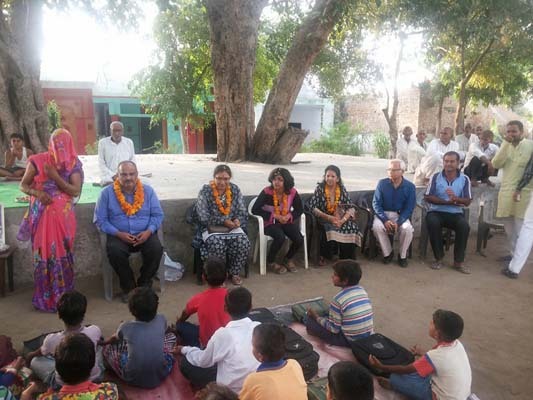 Savita Gupta had started as Ekal teacher in her village, continued her education and completed graduation due to encouragement of Senior Ekal karyakartas. 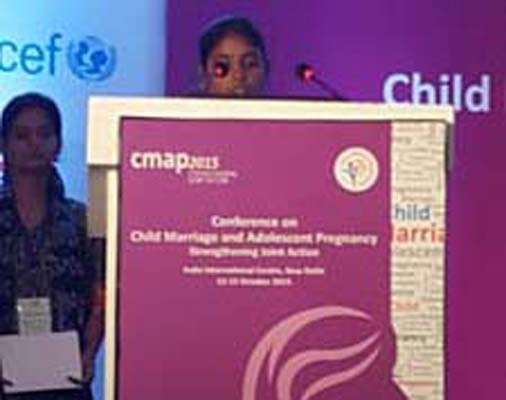 She was selected out of many contestants to speak at UNFPA’ UNICEF and TISS conference. 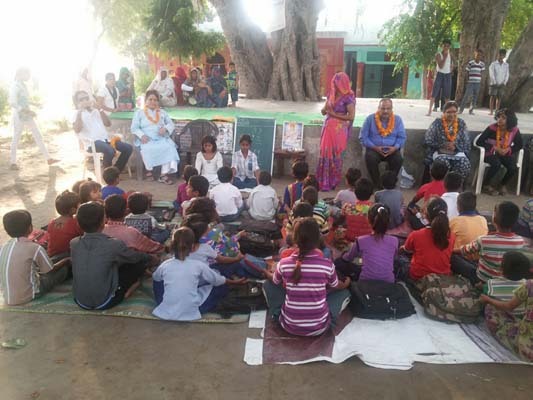 She explained how child marriages and adolescent pregnancy have been controlled and gradually such cases have become less and less due to efforts of EKAL education and awareness program taken by Arogya Sevikas in villages. The Mumbai FTS Mahila Samiti celebrated its 2nd Annual function on 1st October at Nehru Auditorium, Mumbai. The function started as per the tradition by screening short film depicting the activities of Ekal. “Mile Sur Mera Tumhara", a musical program was presented by Shri Jitendra Bhansali (Ekal Abhiyan Trust Chairman) and Kunjlata Bhansali’s (Mumbai Mahila Samiti Patron), daughter Smt Sonali, and also a slide show highlighting the contribution of Mahila Samiti on all India level, which inspired many to make contributions to Ekal schools. 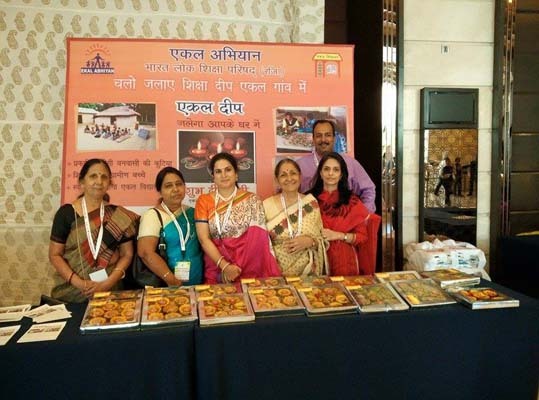 Ekal Abhiyan participated in NGO Expo, 2015 which was held on 29th - 30th September 2015 at Epicenter, Gurgaon. 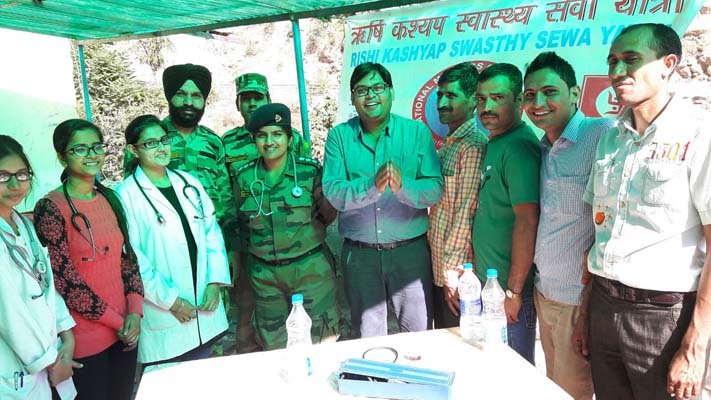 The participants were from varied fields, but Ekal stood out from others because, while others had their operation concentrated in a particular region, Ekal has its presence all over India. 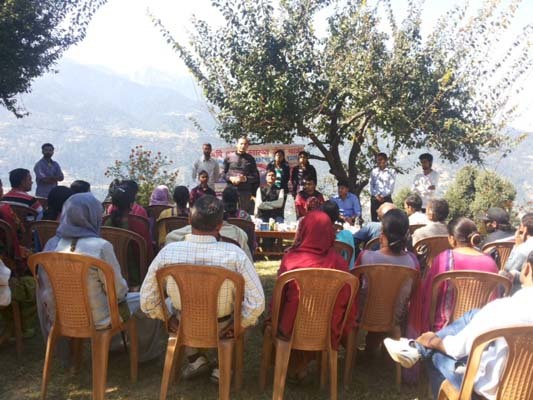 No other organization could match the reach of Ekal, particularly from the point of view of getting leverage under CSR initiative. Prof.Manjushree – President Ekal Sansthan was one of the key speakers in the panel discussion held on 30th September on the topic ‘Leverage partnerships to foster socio-economic development and the role of NGOs.’ Manju Ji highlighted the eight goals of Ekal – a movement for social change. She emphasized that corporates are ‘finance masters’and NGOs like Ekal are ‘social masters’, both need to merge their interests. There are two equally important stake holders of Ekal Abiyan: Gram Sangathan and Nagar Sangathan. 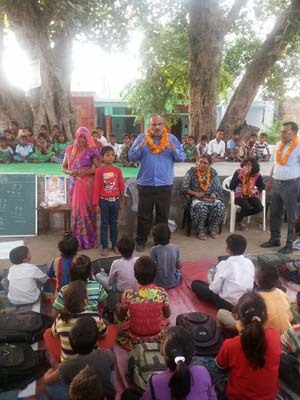 The perfect co-operation, coordination and co-relationship make them both unique partners in Ekal Abhiyan. 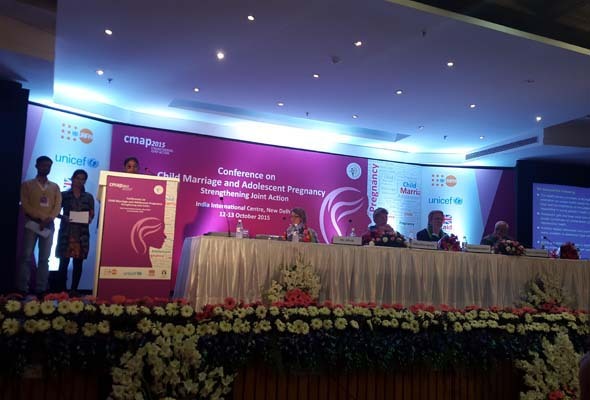 BLSP, in order to bring all these stakeholders of Ekal together, organized its 4th Samman on 11th October 2015 in Hotel Crown Plaza, Rohini, Delhi” in the evening. Dr. Subhash Chandra, Global chair person of Ekal graced the occasion. Smt. Kiran Chopra, of popular daily “ Panjab Kesari” was the guest speaker. The evening of ‘Samman’ became memorable by strong presence of supportive donors promised who their support in future too. Through a mail flyer, I came to know about an event in Dallas called 100 years of Bollywood – a fund raising event for Ekal. 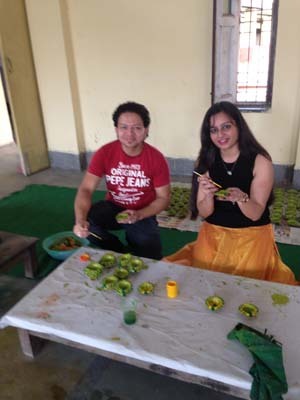 I reached their foundation and asked whether I could visit them on my next trip to India. Without any delay my trip was arranged. What would be your response if I tell you that with just $ 1 per day an organization provides education to the population of the entire village? 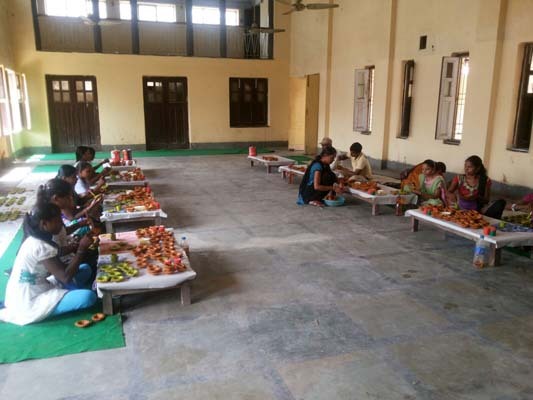 That was my humbling experience when I visited the Ekal School in Mashula, Maharashtra, India. I was greeted by the kids and the Acharya (the teacher). They performed their daily routine to demonstrate how the daily class is structured.